I’m driving down the road when it comes on the radio. Really, I wonder? I thought it had to do with personality, the way someone is made. I’ve always been a glass half empty kind of person. Not proud of it, but it’s true. And I would have laughed out loud and talked back to that little chipper-of-a-girl announcer and told her that she obviously wasn’t a pessimist or else she would have given a little more instruction than that…But I didn’t laugh and I didn’t talk back because I know it’s true. You see, I’m a recovering pessimist. And that, I am proud of. Very, very proud. And while the optimistic radio announcer moves on to other things, my Savior, the Light of the World, the One who leads us in the way we should go, He speaks. But if the eye is good, the whole body is filled with light. Whether a person is a pessimist or an optimist depends on how they see. And how one sees depends on what they look at. With the history I’ve had, I’ve seen dark. How else could I interpret life than through the dark lens I was given? How can any of us expect to see differently than the lens, the lamp, the perspective we’ve been handed? Our fallen, dark, distorted lens tells us how to see life. Ourselves. Others. God. But we can change our perspective. We can trade in our lens. Experts are just now saying something God has said in His word for thousands of years: Our lamp stays bright when we look to the Light. 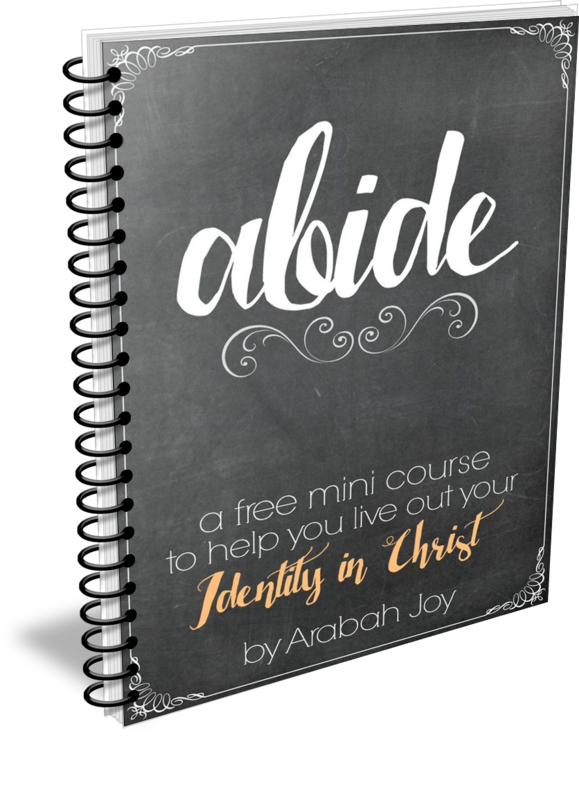 This is why we must learn what it really means to abide in Christ – so that we can keep focused on Him. “They” say to think positive to make things positive. But being a positive person isn’t just a matter of thinking positively. It is a matter of thinking positively of God. Our lamp becomes dark when we doubt our God. Our vision is distorted when we distrust our Creator. Our perspective is skewed when we prioritize what our circumstances tell us instead of who God says He is. The eye is our lens, our glass, our magnifier. And whatever we magnify is what we worship. We can either magnify our circumstances….or we can magnify our God. Magnifying our circumstances will often lead to a negative attitude. Magnifying God, though, is how to avoid negative thoughts. Isn’t this the way to keep your lamp bright? Stop looking at things the way everyone else does! Stop interpreting life according to the ways and rules of this world. Find edifying things to do instead of Facebook. Look instead through the lens of a good God. When I give regard to my circumstances, I give them honor. I esteem them as more powerful than my Almighty God. My circumstances tell me all sorts of lies. But my God, He tells me He’s in control. He tells me He is good. He tells me He is Adonai. Bread of Life. Conquering King. Defender of the defenseless. He tells me He will never leave me or forsake me and He will carry me even to my dying day. He tells me His plans for me are good, to give me a future and a hope. He tells me all His deeds are done in faithfulness and that it is impossible for Him to lie. He is the One to fill my glory hunger. And I know the secret of Romans 1:21: A pessimist listens to circumstances and the opinions of people. But an optimist? Well she looks to her God. 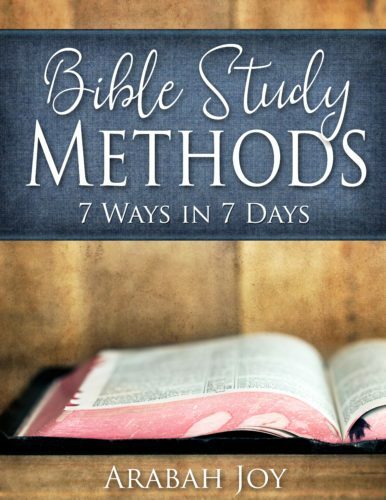 ***The Alphabet exercise is one of the many trust building exercises found in the Trust Without Borders devotional… for a gentle, practical journey to regaining your spiritual sight. Are you ready to make some changes in your perspective? 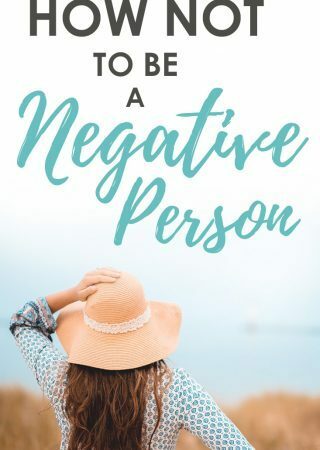 To nix that negative thinking? Click below to grab our Grace Goal Planner and Habit Tracker before you go! yes. just this. beautiful shift in perspective. eyes off the giants in the land and onto the conquering King! amen! blessings to you! I’ve been studying Matt. ch. 12 and verse 35 talks about the good person out of his good treasure brings forth good. Matthew Henry says, ” Graces, comforts, experience, good knowledge, good affections, good resolutions, these are good treasure in the heart; the Word of God hidden there, the Law of God written there, divine truths dwelling in and ruling thee are a treasure there, valuable and suitable kept safe and kept secret as the stores of a good householder, but ready to use upon all occasions.” I think people can be predisposed one way or the other toward being a half-full or half-empty sort of person, but, as you said, what we focus on, Who we focus on and fill ourselves with is what ultimately comes out as the sort of person we are. LOVE IT!!! love it love it love it…. I, too, am a pessimist by nature. It is surely good news to know that Jesus can change that as we keep our eyes focused on Him. Because really, this world gives us little about which to be optimistic. So glad I can find joy in Jesus, and not have to seek it in the world. Blessings to you, friend. Loved this post then and love it again this morning! It’s way too easy to look at the circumstances, but when you think about that as giving glory to the circumstances?? Yikes! Thanks once again for your incredible ability to direct us to the Throne and to the One who is worthy of all our adoration and praise! Praying for you and your family this morning, my friend! I’m a recovering pessimist too. I grew up in a negative home and it comes naturally. But changing our shift, and magnifying our God instead of our circumstances is key; I’m learning to do this. Looking to my awesome God and trusting Him. I appreciate you words in the post. Blessings to you! Very true. It’s all in the perspective, but also in our foundation…who we worship, as you said. Without Christ as our focus, we will slip right back into that negativity. We need to think on whatever is right, true, noble, pure, lovely, just, excellent and praiseworthy and the God of peace will give us the peace of God. love this post. So, I would always say that I’m an optimist…but life and heavy seasons have really got me lately, and I find myself responding so easily with cynicism and negativity. Thank you for this post. Excellent reminders here. I tend towards the optimist side…but feel like I’m approaching a time in life that I will struggle with being more pessimistic. Nothing terrible, just hectic and stressful. It all goes back to looking to our Lord. Thanks for reminder. What a wonderful way to view God’s love for us. Thank you. Thank you for sharing your story, Arabah. Your words are full of wisdom and encouragement for those still struggling with pessimism. I loved what you had to write. I always see the negative side of things. It’s time for a change. Thanks and God Bless. As a recovering pessimist, I thank you for such a great article! I have focused too much on negativity and self-focusing; I need to look UP more and rely on these great words in this article which I have printed. God deserves top priority!! I love this! This is something I have to work on more and more each day. I grew up in a very negative household and I pray that I can stop the cycle. I want my children to learn God brings us joy even in tough situations. Great post! 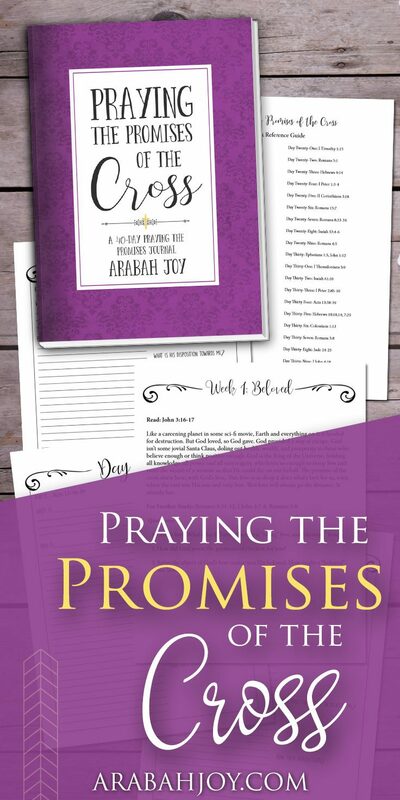 Wow, Arabah Joy, was this ever timely for me- even 8 months later! 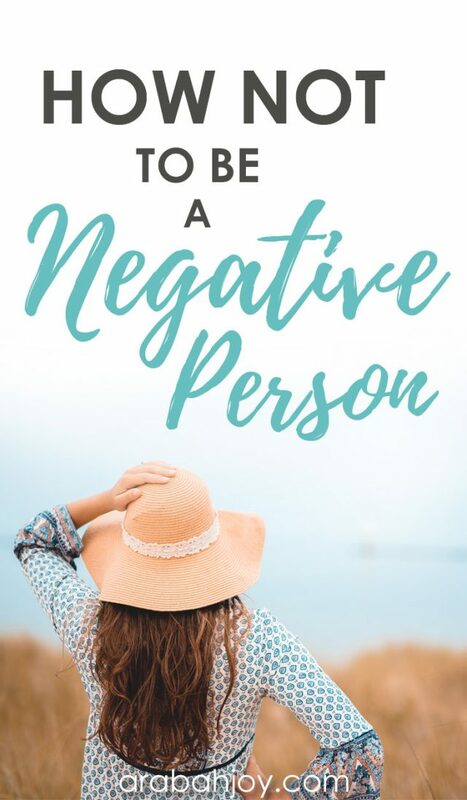 My mother is an extremely negative person, and I’ve been afraid of becoming just like her. Praise God for hope in our Saviour!! So glad to hear that! Praise the Lord for how He works! I am trying to stay very positive , if I think positive I live and breathe positive . Thanks for helping me see things in a better perspective . Amen!!! Just found this and it’s an amazing post! Thank you. Wow!! That was powerful. Thank you for sharing!! Praise the Lord, Suzie! Thanks for leaving a comment and God bless you as you move those pebbles. He’s got this! Wow, such uplifting, powerful words! I am sending this post to my teenage daughter right now, who struggles with pessimism. Thank you for your gentle, passionate faithfulness to the living God. I read many of your posts, have bought Trust Without Borders, and am continually blessed by your writing. Help! I was about to order some resources from your site, but got interrupted and now, I cannot find the “cart” I had started. Since you offer resources for purchase, it would be oh, so helpful to offer a cart icon. Knowing nothing about website design, I have no idea how difficult that would be, but from a reader/consumer aspect, it would be great. Perhaps I am not looking in the right place, but I have no idea where to look to find the missing items I would like to order! 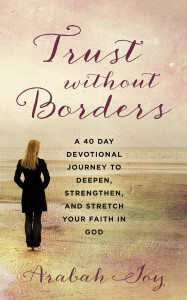 I just received your book, Trust Without Borders, in the mail today. I can’t wait to see what God has in store for me me! I tend to ruminate on the negative. I want that to change. That was fun. I did it with my husband. This is a great read! EYE opening! Thanks Arabah! Fighting against my own pessimism its a struggle I encounter every day of my life, every hour of my day, every minute of every hour I being alive. It´s a problem as real as the pollution in the environment, the pollution in my head and heart is something beyond my self, I am not humanly capable of controlling my own thoughts as simple as that! Your words have been truly helpful, thank you for helping me understand that as long as I don’t fully trust YESHUA I would never SEE past my problems! you really hit the nail with this post, it´s so well written and your explanation about magnifying YESHUA instead of our circumstances is as clear as crystal. I just found this scrolling through your FB page. My energizer bunny 97 year old mother (battery finally slowing down) seems to be more negative in her comments as time goes on and I’m always trying to bring positive into the conversation. BUT, I too sometimes think more in a pessimistic vein, and I’m so thankful for your thoughts to move me into an always Positive thought pattern. I’ll have to check out the Alphabet teaching. Thanks so much for all of your wisdom and mentoring. I am so encouraged by your message. It’s true that when we look at our circumstances we loose focus on God. It’s not easy to fix our eyes on God when everything else is hopeless. How dark it becomes when we listen to everyone else but God.